High-Return Investing Example – Kickstarter “Oculus” Project! I hope you had a good weekend, also. Well, friends, this post does not “bash” hack gurus – I know many of you will be disappointed, but before you move on, please read this interesting post I had found over the weekend. If you back a Kickstarter project that sells for $2 billion, do you deserve to get rich? 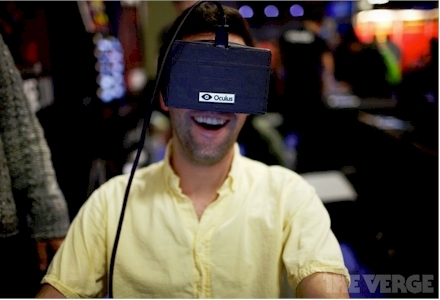 The Oculus Rift virtual reality headset raised $2.4 million on Kickstarter, no strings attached. Those donors weren’t looking for a payout; they wanted to support something they believed in, and maybe get a pair of virtual reality goggles to play with. But when Facebook bought Oculus a year and a half later for $2 billion in cash and stock, backers wondered: what if I’d asked for equity instead of a poster? “I would have rather bought a few shares of Oculus rather than my now-worthless $300 obsolete VR headset,” backer Carlos Schulte wrote. We have been on the lookout for ways we can “give back” to Iraq for our hopefully soon blessing with the RV of the IQD. Today one of our Mr. IQD Friends had sent us an email alerting us of this new Kickstarter Project which only has 19 days left to contribute. If you are not familiar with Kickstarter, it is a website that helps Entrepreneurs, Artists, Musicians and others all around the world to get their projects off the ground. It is well organized, and reputable. We are reprinting the first part of their project’s info – we highly recommend that you go directly to their website and see at what level you can help, just $9 will help an aspiring Artist in Baghdad, so we feel this is both affordable and will be helpful. Baghdad was a hub of art, science & ideas. Inspire that attitude again by sharing hackerspaces with Iraq. GEMSI works to develop engagement, service, and entrepreneurship by uniting communities of makers around the world, facilitating the creation of hackerspaces, running workshops and creating platforms for storytelling. A hackerspace is a community-supported collaborative workshop where passionate people create and share. We believe that hackerspaces can act as a catalyst to unlock creativity, inspire action, and create hope. Hackerspaces build hope by giving people access to tools and a local/global community through which people are enabled to invent their own future. Riwaya wa Bidaya (Oct 5): A livestream conference to share stories of everyday superheroes in Baghdad who take initiative to solve problems. We are inviting submissions until Sept 22 [apply here!] – top stories will be illustrated by a professional graphic comic book artist and published in Arabic and English. ‘Amal wa Amal (Oct 18-19): In collaboration with TEDxBaghdad, we are setting up a temporary community hackerspace to share local tools and solutions. We hope this will provide an inspiration for an ongoing community and hackerspace to develop in Baghdad. We have a track record of success at sharing maker and hacker culture in the Middle East and North Africa. Our previous backers will remember that GEMSI ran a kickstarter last October to create a temporary hackerspace in Egypt – we’re happy to say the world is a brighter place because of it! There are now at least 5 hackerspace initiatives in Egypt: Giza Hackerspace, FabLab Egypt, Cairo Hackerspace, El Minya Hackerspace, Alexandria Hackerspace. Egypt has also seen a successful making festival hosted by Fab Lab Egypt and Giza Hackerspace, and a home-brewed Cairo Maker Faire is in the works. 542,836 pages were viewed by Dinarians recently!